To meet the needs of both beginning and experienced tatters, the author has divided the book into two parts. Part One, for the novice, offers excellent coverage of materials and tools, making the stitch, the continuous thread, patterns, special arrangements of stitches, working with multiple threads, and finishing the work. Throughout, you'll find clear step-by-step instructions supplemented by nearly 60 drawings and photographs. In addition, patterns are progressive in difficulty; mastery of the simple versions will enable you to undertake more elaborate projects. 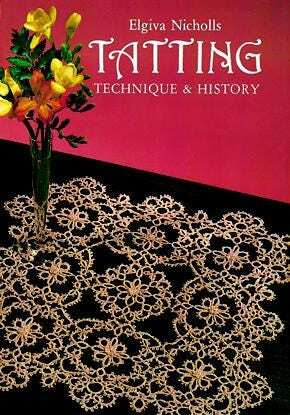 Whatever project you select, this superb handbook offers the knowledge, guidance, and inspiration you need to discover the creative satisfaction and lasting rewards of tatting.